NEW! Get KGB Report via email every day! Click here to subscribe. Today is Tuesday, June 6, the 157th day of 2017 in the Gregorian calendar, with 208 days remaining. Donald Trump has been President of the United States for 138 days. There are 1,325 days remaining in his term, assuming he doesn't resign or is otherwise removed from office. 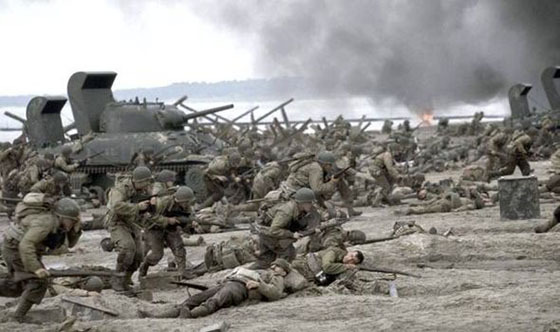 On this day in 1944, the D-Day invasion of Europe took place during World War II as Allied forces stormed the beaches of Normandy, France. Among other things, today is also Drive-In Movie Day. Drunk Florida woman caught speeding, offers burrito to trooper. "A great truth is a truth whose opposite is also a truth." My wife was born in Mississippi and is a distant relation to actress Erin Gray, perhaps best known for her role as Colonel Wilma Deering in the science fiction television series Buck Rogers in the 25th Century. Help support KGB Report by making a donation here via PayPal. Use your PayPal account or a credit card... it's secure and protected. Or, send a donation to me here 1512 Annette Avenue, South Park, PA 15129. Becoming a patron will also get you free copies of any books we publish on Amazon or Kindle in the coming year and reduced prices on any other products. Thanks for your support!